Designed to be quick and simple to use, Stanley OneDoor removes the need for keycards and tags and all the management and associated costs that entails. 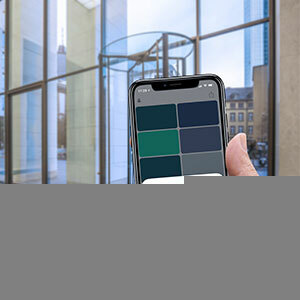 Instead, users gain access via their smartphones through the Stanley OneDoor App, ‘reading’ Stanley OneDoor tiles using either a QR code, via the app, or an NFC chip, just like Apple Pay and Google Pay. Highly flexible, the system is secured with bank-level encryption and can also be used with traditional cards and tags where required. Stanley OneDoor is not only cost-effective and convenient but also highly secure: lost or misplaced keycards are a regular occurrence and represent a security threat. People are far more mindful of their Smartphone and,even if they are lost or stolen, remain more secure as fingerprint and facial recognition means the Stanley OneDoor app doesn’t fall into the wrong hands. For high-security sites, Stanley OneDoor can also be configured to use restricted wi-fi networks and GPS Geofencing as additional security layers. Plus, with immediately accessible usage logs and access data, administrators can see up-to-date statistics about who’s in their building and how it’s being used.